The MANHATTAN CPU Stand helps save valuable desk space by storing cumbersome CPUs under or beside workspaces and countertops. Its durable yet lightweight ABS plastic construction adjusts from 15.5 to 25.5 cm (6.1 to 10 in.) to hold and protect a single CPU from minor hazards. Four casters provide stable mobility to easily clean and access the CPU rear panel or connect cables. 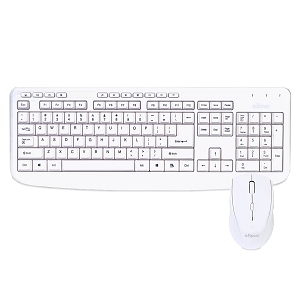 Feel-good typing Your hands will enjoy the low-profile, whisper-quiet keys and standard layout with full-size F-keys and number pad. Rugged good looks The slim keyboard isn’t just sleek—it’s tough with a spill-resistant design,* sturdy tilt legs and durable keys. Smooth ride You’ll be moving along smoothly with a precise, high-definition optical mouse to help you get around.